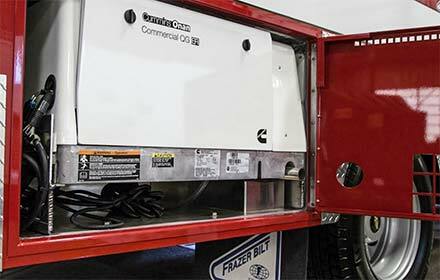 Generator Options for a Frazer EMS Vehicle: Onan vs. MEPS - Frazer, Ltd.
Frazer offers two 120 VAC power systems for your Emergency Medical Services (EMS) Vehicle to choose from: the Cummins Onan Gasoline Engine Generator or the MEPS (Mobile Electronics Power Solutions) Generator. Let’s discuss this chart a moment. The Onan has some advantages, but there are some disadvantages as well. There is no additional upfront cost for choosing the Cummins Onan Gas Generator. It’s built into Frazer’s base pricing because it has been our primary source for nearly 30 years. The Onan has an average lifespan of 7-10k generator hours if well-maintained and comes with a 2 yr/2,000 hr limited warranty. In the unlikely event of a truck failure, the Onan can be used independent of the chassis engine. So, this means there is no loss of electrical function in the module including HVAC, lighting, or power supplied to medical equipment. If the Onan should fail, there is a fail-safe backup. Frazer’s fail-safe 12-volt DC electrical system would automatically pull from the truck batteries to allow critical equipment to be kept powered. This allows medics to continue to work on patients without interruption. With the Onan, the truck is rarely out of service for each preventative maintenance (PM). Each PM downtime is no more than a few hours. On average, an oil and filter change takes about 30 minutes. 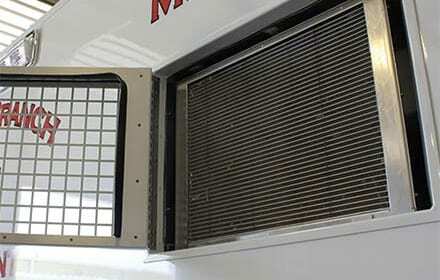 The exclusive Frazer HVAC System provides 24/7 module climate control. A self-contained 120-volt heater/air conditioner operates independent of the chassis electrical and heating and air conditioning systems. A 450 Cubic Foot per minute fan recirculates all of the air in the module every two minutes to keep occupants comfortable. More installation space is required for the Onan generator. The Onan is housed in a large rear exterior compartment of the emergency medical services (EMS) module. The Onan is easy to use, but does require some steps. There are switches located in the chassis and module to operate the gas generator. The Onan also requires the installation of a separate fuel tank and fuel gauge. Since the Onan runs on gasoline, and the truck may run on diesel, those filling up at the tank may have to top off with both fuels. Buying a spare generator for the Onan is recommended in case maintenance or repairs warrant it. The Onan does have a higher spare generator cost: $4,500, when compared to MEPS. The upside? The spare can be easily swapped out in as little as 60 minutes. More frequent, short PMs are required for the Onan. The Onan requires preventative maintenance intervals at each 150-hour mark. Depending on several variables, many customers report a higher annual preventative maintenance cost: $1,000. Let’s take a look now at some of the advantages and disadvantages of the MEPS generator. The MEPS generator is easy to use. 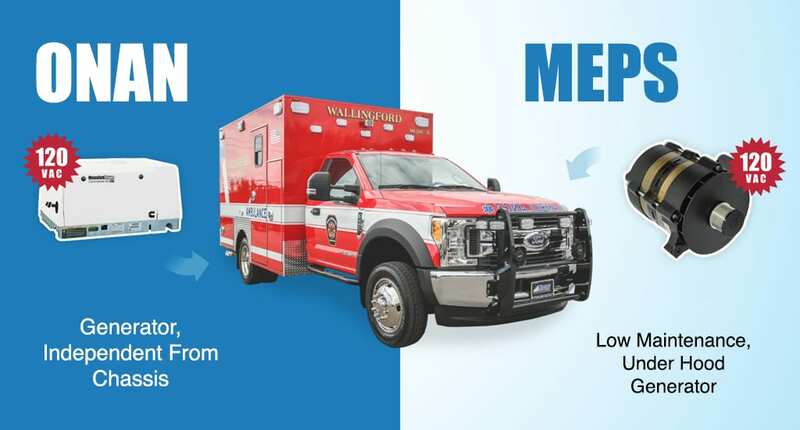 Frazer began offering this emergency medical services (EMS) vehicle power option in 2013. It requires little crew training and no additional operating steps. The MEPS looks much like an automotive alternator and is mounted under the hood, which requires a small installation space. 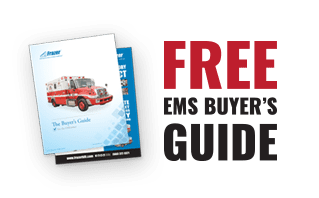 This leaves the rear exterior compartment of the EMS vehicle available for more gear or storage. The generator has an average lifespan of up to 16k engine hours if well cared for. The MEPS runs automatically when the truck engine is running. If the engine should fail there is a fail-safe backup. Frazer’s fail-safe 12-volt DC electrical system would automatically pull from the truck batteries to allow critical equipment to be kept powered. This allows medics to continue to work on patients without interruption. Since the MEPS does not run on a separate engine, there are no generator oil changes or valve adjustments needed. This provides low maintenance because there are fewer preventative maintenance intervals. The MEPS requires PM at each 2500-hour mark. It is recommended to have a spare generator on hand for this. The MEPS has a lower spare generator cost: $2,500. The annual preventative maintenance cost is also lower: $250. There is no difference in air conditioning and cooling capabilities. The MEPS Power Option also provides 24/7 module climate control to the exclusive Frazer HVAC System. A self-contained 120-volt heater/air conditioner operates independent of the chassis electrical and heating and air conditioning systems. This keeps the unit comfortable at all times. The MEPS does not run independent of the chassis engine and has a higher upfront cost: up to $15,000. The reason? Simply put, the MEPS product costs more out of the box than the Onan. It also takes more labor hours to install. The majority of extra labor involves installing the aftermarket bracket on the engine to hold the MEPS. This generator comes with a 1 yr limited warranty. Each PM service (at 2,500 hrs) involves more time because it involves swapping out the generator inside the engine compartment of the chassis. The process is similar to replacing an alternator. Again, this is why it’s recommended to keep a spare generator on hand. Preventative maintenance downtime can take less than 1 day, depending on the skill level of the technician. We hope you’ve found this comparison between the two generator power options Frazer offers helpful in determining which is the best fit for your agency’s needs. Still have questions? Contact us today at (888) FRAZER1. Check out these videos pulled from our archives that talk more about Frazer’s two EMS vehicle power options.